Since the early 1990s, politicians, policymakers, the media and academics have increasingly focused on religion, noting the significant increase in the number of cases involving religion. As a result, law and religion has become a specific area of study. The work of Professor Norman Doe at Cardiff University has served as a catalyst for this change, especially through the creation of the LLM in Canon Law in 1991 (the first degree of its type since the time of the Reformation) and the Centre for Law and Religion in 1998 (the first of its kind in the UK). 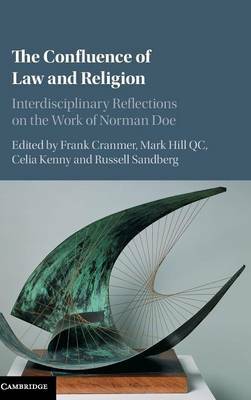 Published to mark the twenty-fifth anniversary of the LLM in Canon Law and to pay tribute to Professor Doe's achievements so far, this volume reflects upon the interdisciplinary development of law and religion.